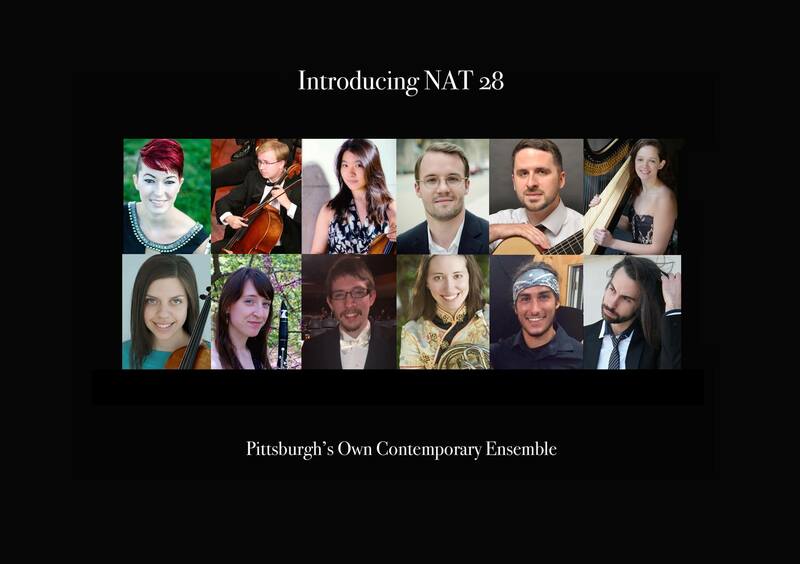 I am delighted to announce that the young artists of NAT 28, one of Pittsburgh’s premiere Contemporary Music Ensembles, are now Artists in Residence at St. Paul’s. This partnership will benefit both NAT 28 and St. Paul’s artistic mission and sacred music offerings. For example, NAT 28 musicians will be given first opportunity for orchestra contracting and paid performances at St. Paul’s for Bach Cantatas, Christmas Eve and other major instrumental performances in worship and in concert. At the same time, NAT 28 instrumentalists will perform gratis in Sunday morning worship a number of times per year. Several additional mutually beneficial aspects comprise this residency. Look for and hear these wonderful musicians on Christmas Eve and throughout the year. We will also inform you about their forthcoming concerts in Pittsburgh and the region. I thank Noah and the Vestry for their support of this visionary project and I especially thank parishioner Tommy Thompson for introducing me to these young artists! On happy occasions when I receive compliments about our music at St. Paul’s, my response of appreciation always concludes with, “I had lots of help.” Indeed, St. Paul’s musicians who sing, perform instrumentally, organize activities, encourage and analyze are a treasure of talent and “greatness of heart” that Christin Cooper and I absolutely require. “As Advent approaches, I am thrilled to begin working on the music of the season. St. Paul’s handbell ensemble is off to a festive start, with music for Advent and our service of Lessons and Carols. The sound of handbells never fails to put me in the holiday spirit! Praise Band is rocking into the holiday season with familiar hymns for the Christmas Pageant. Canterbury Choir has begun preparing the Advent anthem “A Star, A Song” by Hal H. Hopson. Through the use of dynamics, repetition, and modulation, Hopson weaves a musical story of excitement and anticipation for the coming of Jesus. In preparation for the Christmas pageant, we have begun rehearsing one of my favorite carols, “Still, Still, Still.” In a season that can be busy and stressful at times, I find solace in the lyrics which remind me to be still, to rest, and to dream. I am looking forward to my first Christmas at St. Paul’s, and sharing some of my favorite music with all of you! Pittsburgh Symphony Orchestra! She will perform an assortment of classical works and holiday favorites. Proud father and retired PSO member, Thomas Thompson will be in attendance with beautiful wife and singer, Christine Thompson. Come join us for a most splendid concert!